History is fascinating, and Missouri is full of it. 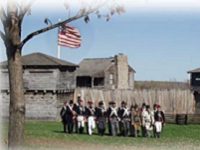 Check out all of Missouri's historical sites. Its got everything from landmarks and historical properties to homes and parks. 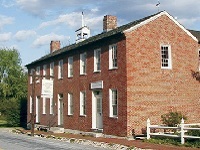 Come have a blast with the past in historic Missouri. If you love history, come a step closer when you go inside some of these historic homes of Missouri. Nothing makes history more real than being inside a personal space. Check out this guide to historic house museums and homes in Missouri. Come on in and stay a while. These Missouri historical villages are waiting for you to come and explore. So bring your friends and family and take a look around these historic places that helped shaped Missouri. 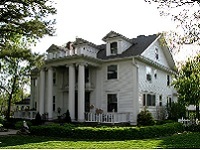 Are you looking for Missouri state landmarks? If you consider yourself to be a bit of a history buff check out this list of national historical landmarks in Missouri. We have quite the history. 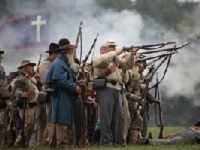 Whether you are a history buff or just looking for something a little different to do today, check out these Civil War re-enactments in Missouri. Its a family event that also sneaks a little learning into the day. Learn about these civil war battles in Missouri in a whole new way.